In 2017, Keller Williams had one of its best years in terms of growth, sales and volume. By the end of the year, the company boasted a No. 1 ranking in number of agents, units sold and sales volume in the U.S.
We talked to Keller Williams CEO and President John Davis about the culture of Keller Williams and what the company has done on both a corporate and local level to empower its agents, which led to building a stronger corporation overall. In 2010, Keller Williams was home to 75,000 associates in the United States alone. That number has more than doubled to 160,000 associates. According to Davis, that agent count combined with the units and the volume that they sold enabled the company to solidify its position. He says Keller Williams achieved its top billing by focusing on each individual agent’s experiences and goals. What are your goals for your family? What are your goals for you? 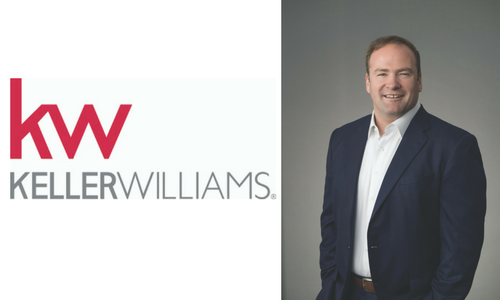 “The thing about Keller Williams is that it’s highly humanistic – that’s our culture. What’s happening is amazing business in how we approach things in terms of the business plan and the execution,” Davis says. Agents sold $303.4 billion worth of real estate in the United States (up 15 percent). Agents closed 1.04 million transactions in the U.S. (up 10 percent). The company had 177,000 agents worldwide (up 13 percent). Davis says that Keller Williams aims to leverage technology so that agents stay at the center of the transaction where they belong. Keller Williams develops its technology through KW Labs, which invites agents to propose new products and services, test them in a controlled environment, and recommend the schedule for rollout. The company’s latest development is Kelle, an agent-augmented intelligence and decision support system that provides market information and add people into databases. The system simplifies daily tasks and helps agents establish successful habits, Davis says. Along with its focus on technology, Keller Williams has shored up its efforts in another critical area: education. KW Connect empowers agents to access educational materials from anywhere at any time. “We’re going to continue to reinvest in our people because we’re partners with them. Our top goal at Keller Williams is making sure that our people have the tools to thrive no matter what market or what market conditions they’re in.